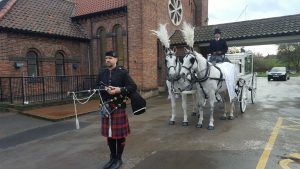 A funeral bagpiper can be extremely poignant and can help give the perfect send off for a loved one. 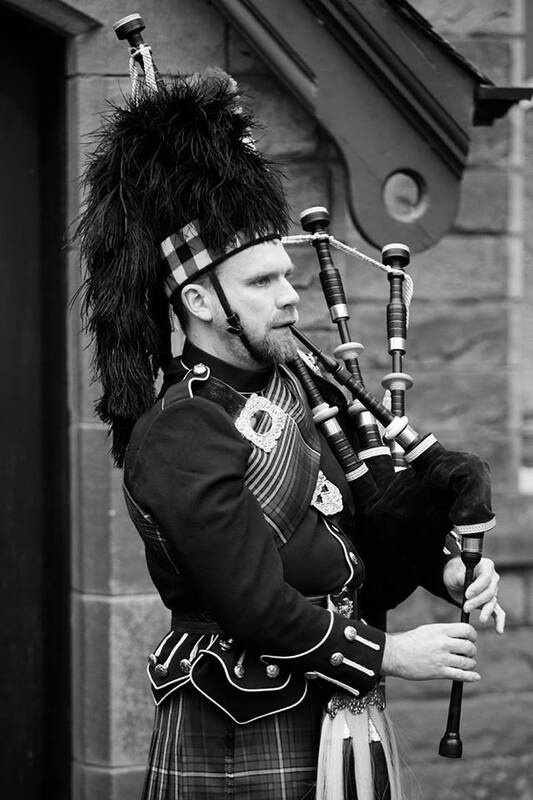 The pipes can be a perfect tribute to a proud Scottish or Irish heritage and add sense of tradition. I offer a respectful and professional service from first point of contact to the day of the funeral. I always liaise with funeral directors to make sure everything runs smoothly on the day. 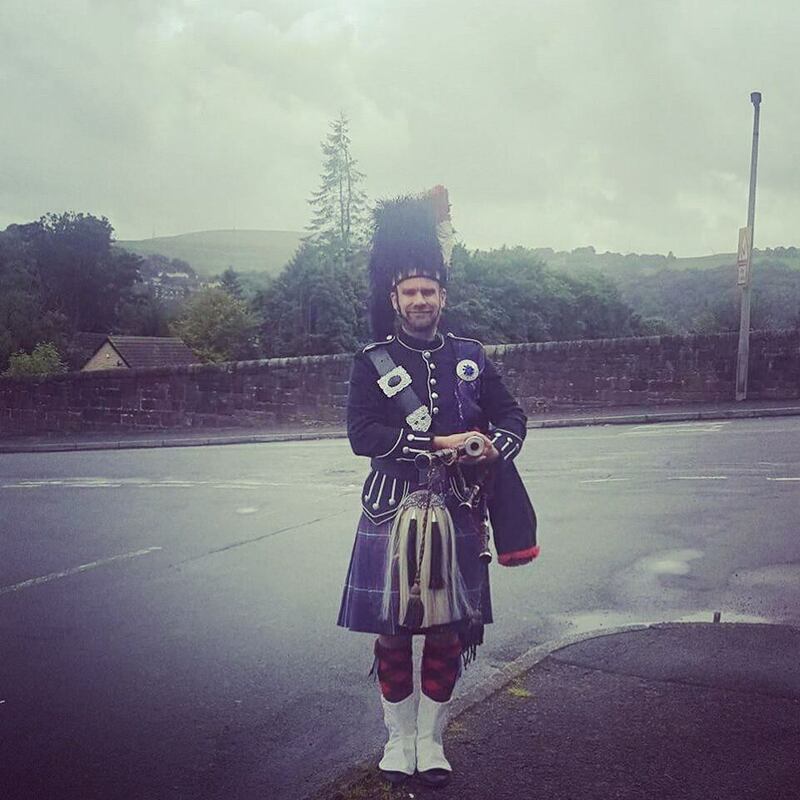 I am very proud to be the first point of contact for a number of funeral directors in Sheffield, Leeds, Bradford, Huddersfield, Halifax, Doncaster, Manchester, Chesterfield, Nottingham, and Derby when they are booking a funeral bagpiper on behalf of their clients. The information to follow details examples of what is usually required of me at a funeral. I’m always happy to accommodate other ideas (if feasible). If playing at a church funeral it is tradition for the funeral bagpiper to lead the coffin either to the church doors, allowing the organist (or recorded music) to take over as the casket is carried to the front and placed on the bier. Alternatively I can lead the casket to the front of the church and play until everyone is seated. At the end of the service I can lead the coffin out of church or begin playing from the church doors and lead to the hearse. I can perform in traditional Scottish formal attire (click here for photo) or Full No.1 Highland Regimental Dress (click here for photo). The tartans I offer are Royal Stuart, Brown, Mackenzie, American Universal, and Diaspora (Irish).